The men eased us into the 2019 season with just one meet and a couple of exhibitions week one. The newly minted GymACT division was represented by Arizona State’s Gold Team, Washington and NorCal United at the Washington open with a number of exciting routines and results. Meanwhile, Minnesota and Ohio State held exhibitions for fans that also included an alumni showcase. Trust us, you will be impressed by these “veterans” swinging around the bar and tumbling across the floor like it was just yesterday. Jarret’s Yurchenko double full was the most difficult vault performed at the Washington Open this weekend. 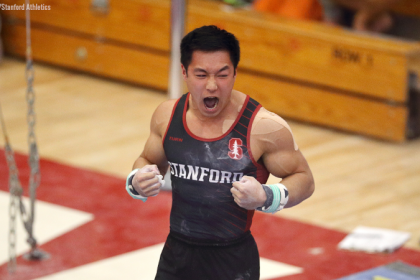 His explosiveness off the table helped his vault earn the highest score of the meet. Ticknor, competing for the alumni team at the Minnesota exhibition, finished his last season with the Golden Gophers in 1997. Although not the most difficult routine, it helped the Minnesota alumni to its 52nd consecutive victory over the varsity team. Watching somebody swing high bar after being retired for over 20 years is phenomenal and proves gymnastics is for people of all ages, not just youngsters. Check out Minnesota’s twitter for more videos of its alumni exhibition, featuring many creative and unique floor routines by the alumni squad. 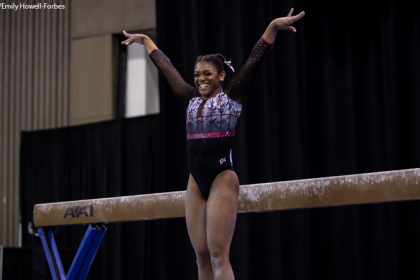 The Big Storyline: After trailing by over four points through four rotations, Arizona State’s Gold Team came back to earn a decisive win over fellow GymACT members Washington and NorCal United in the only official meet of the weekend. Without star Kiwan Watts, Arizona State was consistent across four events and tallied a big total on vault to take the team title. Washington senior Nathan Tsuji took the all around title while NorCal United, in its second season of competition, debuted two new gymnasts. 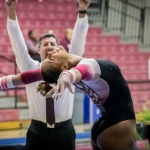 Implications: Arizona State’s strong performance here puts it as the front runner for the team title yet again at the USAG Collegiate National Championships. 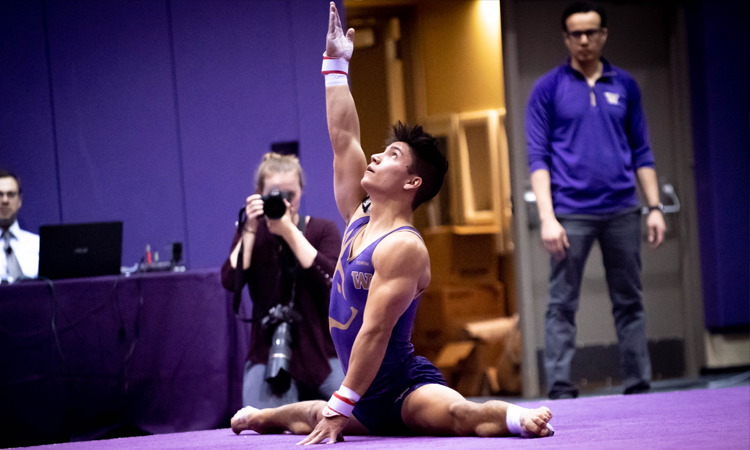 However, Washington’s strong performances from many of its freshman gymnasts—who competed as an exhibition team at this meet—indicate that it will be an even bigger challenger when they are added to the team lineup. Records: NorCal United’s Will Ryan tallied a 73.300 in the all around for his second highest all around total ever. Controversies: Arizona State’s star gymnast Kiwan Watts did not compete this weekend. There is no word on why, but we’re hoping to see him in the coming weeks.